We pride ourselves on the ability to provide an endless array of finishes at any level. This project on Tejon street in the HI-LO neighborhood provided us with the biggest challenges to date. The most interesting is the use of cement panels as siding accents. We used semi-transparent concrete stain with thick naps and worked the stain in all directions once it became tacky. The outsome was incredible. 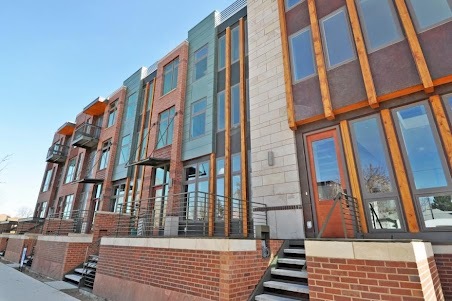 A good portion of the exterior is lined with faux cement boards we produced on-site at a large volume. The logs are local beetle kill pine stained with Sikkens log and siding stain. The doors are also stained with Sikkens as well as numerous other wood applications. This project consisted of some of the most modern and contemporary finishes we have completed to date.